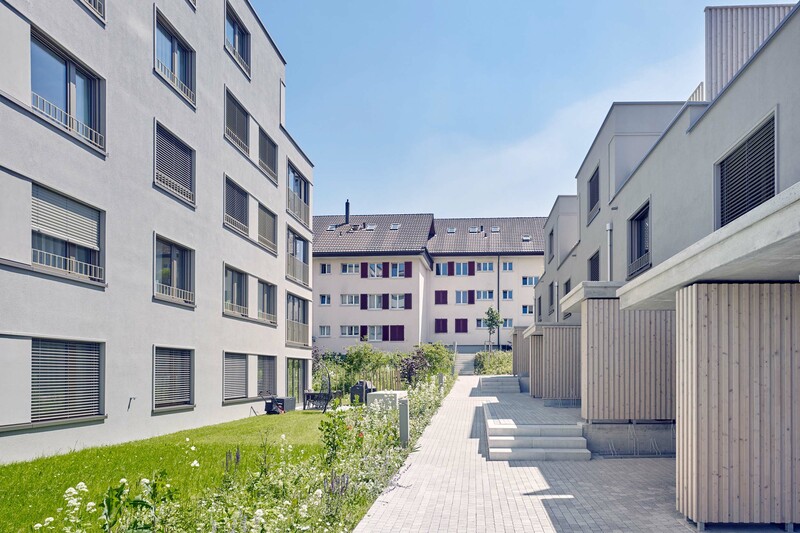 The settlement “LIVIO” redefines the area of Kantonsschulstrasse. The five story high apartment house, responds to the large volumes of the nearby district school. The spatial composition of the settlement is formed together with the two terraced houses “CENTER” and “WEST”. 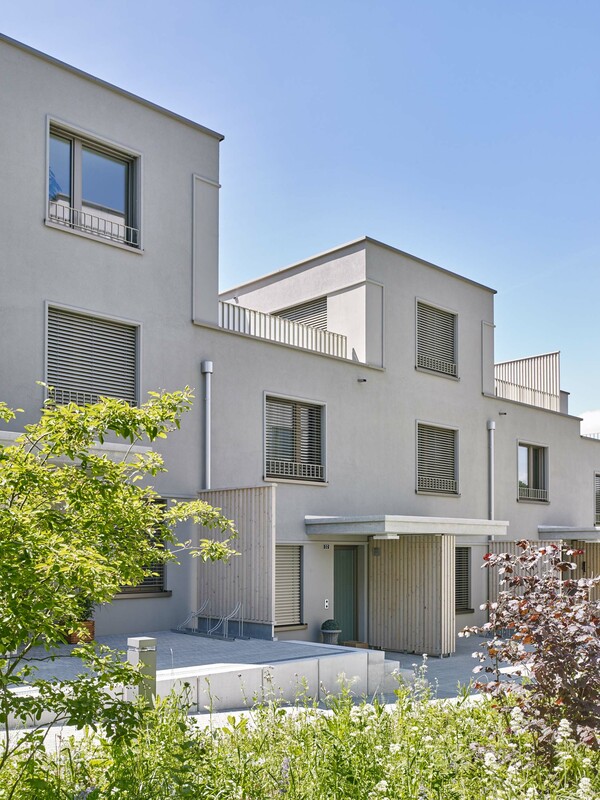 The three storey high row houses relate with the single family houses of the neighborhood in the south and west. 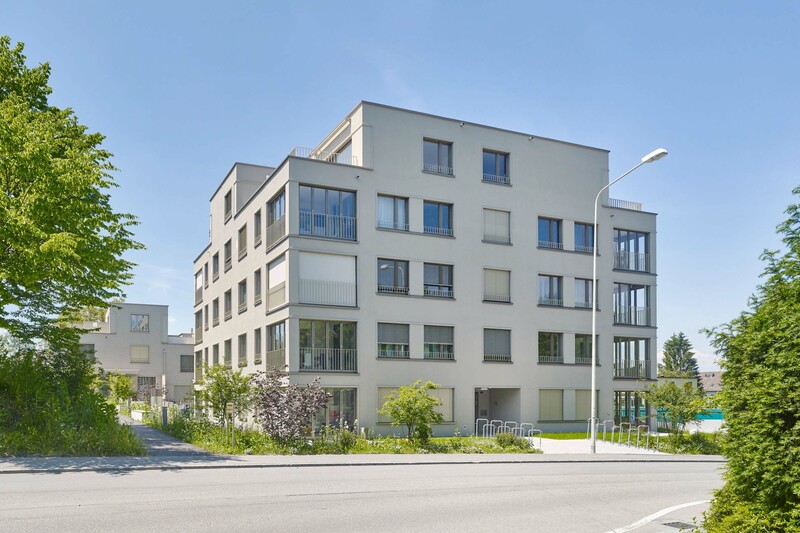 The district offers many shopping possibilities, schools are located in close proximity, the airport “Zurich-Kloten” is only a ten-minute drive away. Numerous bus and train services going from Bülach ensure local residents to get easily and quickly beyond the cantonal borders. 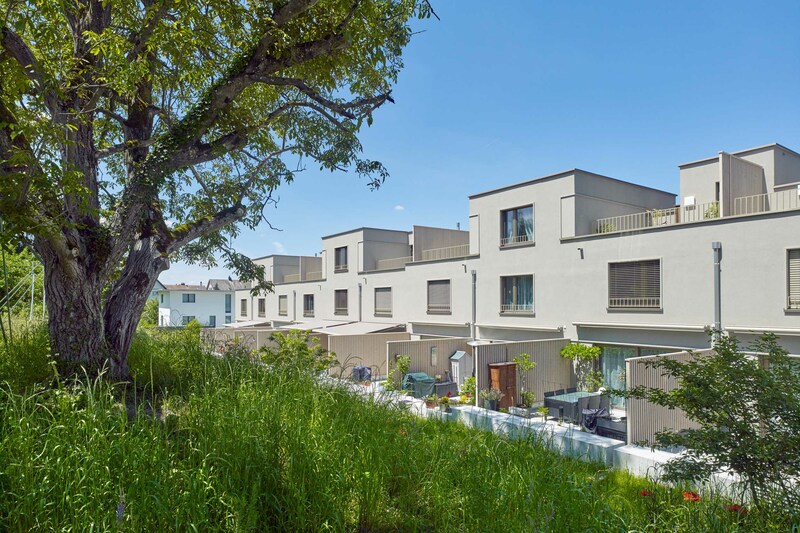 This urban embedding is in contrast to the spacious green areas around the settlement. Playgrounds and rest areas are carefully integrated with landscape architectural means. A fine network of paths, small buildings for bicycles and containers provide the pedestrians with an outer space with a pleasant scale. The settlement offers accommodation to families, couples and singles, a good mix to ensure all residents to feel quickly at home. The big TOWER HOUSE” offers 19 apartments. 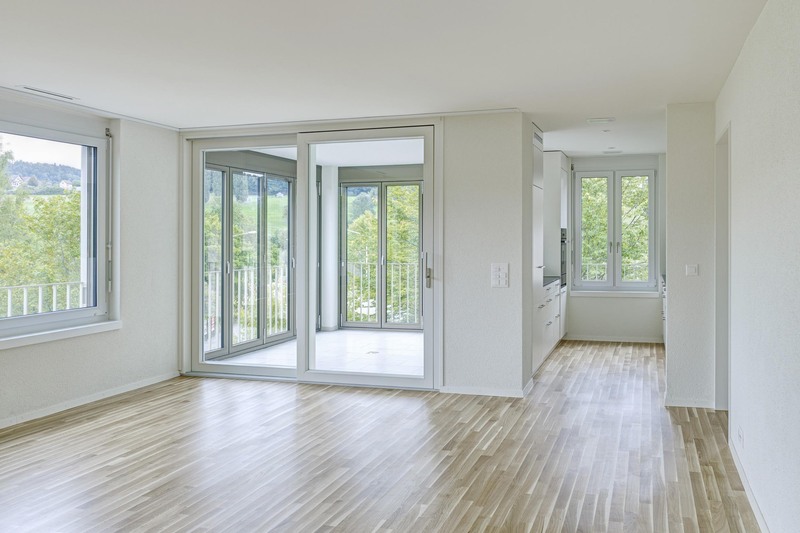 Due to the square floor plan every apartment has views in two directions. Beautiful views open up to the inhabitants. 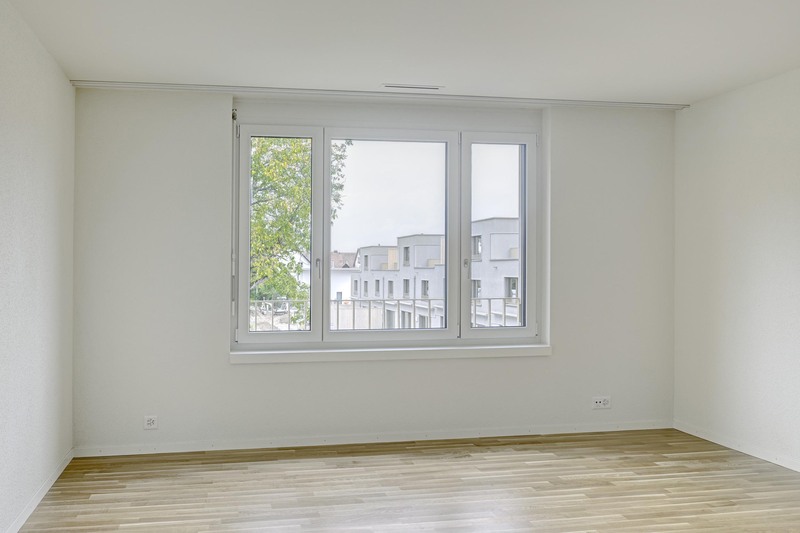 The loggias in the corners – the “season rooms” – extend the living room of the larger apartments into a valuable space. The “TOWER HOUSE ” shares the playground and resting areas with the two terraced houses in the west. Long hedges follow the topography separating private gardens from public green zones and lawn surfaces. The apartment house also offers direct access to the garage, where there also are charging stations for electric vehicles. All houses are built in the energy standard Minergie and feature a contemporary interior design. 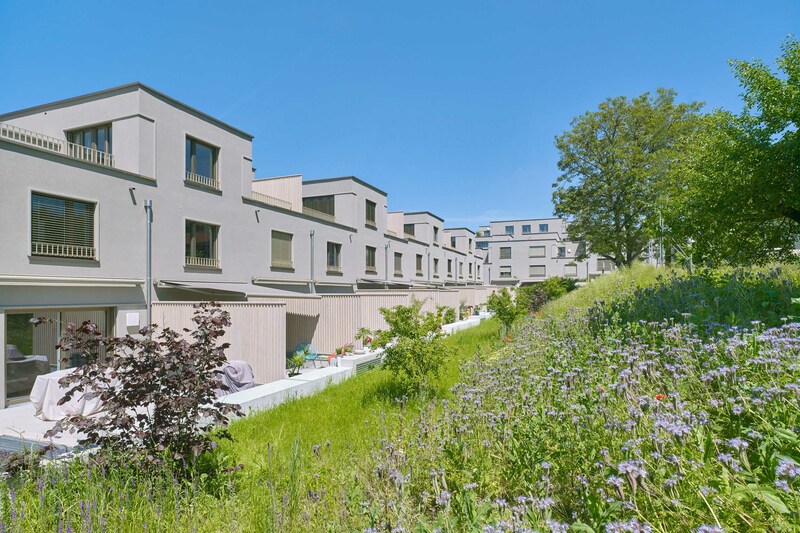 Both terraced houses offer 19 units in a mix of 3.5- to 5.5-bedroom apartments. They are built in split-level concept. 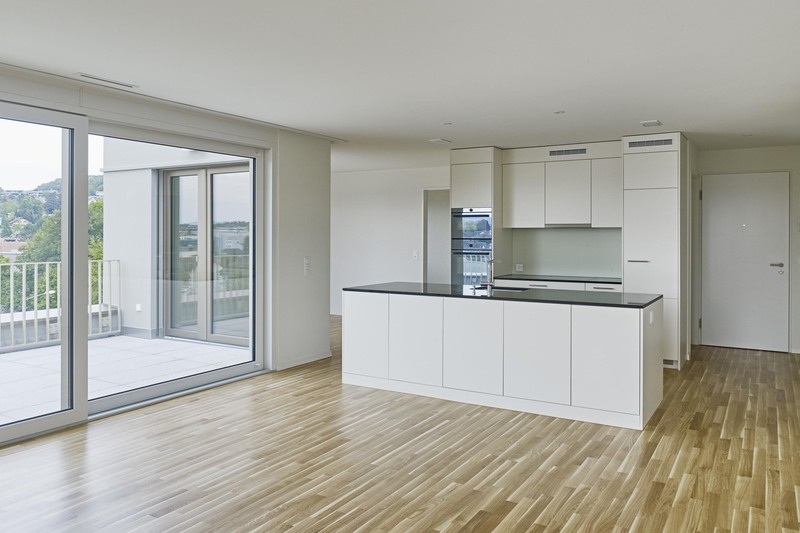 Thanks to this arrangement, the surfaces are better used, the apartments feel spacious and bright. 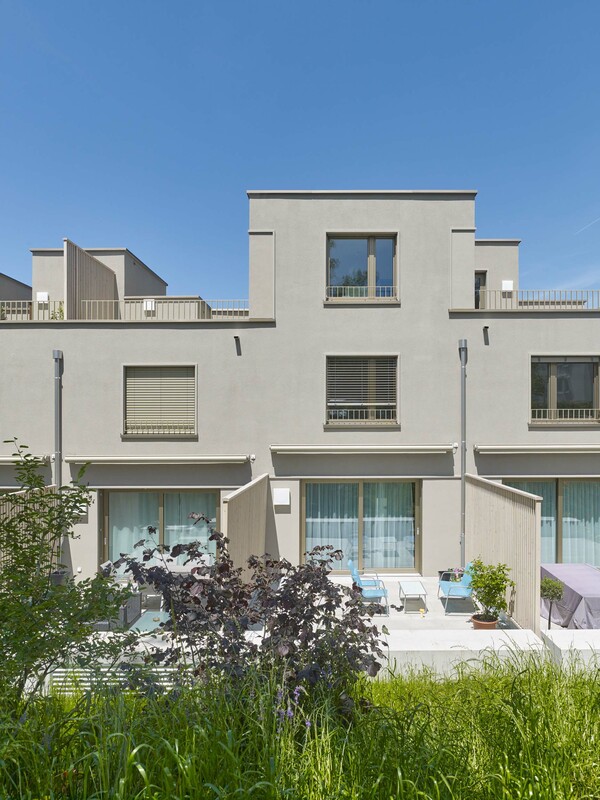 Each townhouse has a small entrance niche, a roof terrace and also a sitting area in the back side – ideal private outdoors retreats, clearly separated from the common green areas of the settlement. 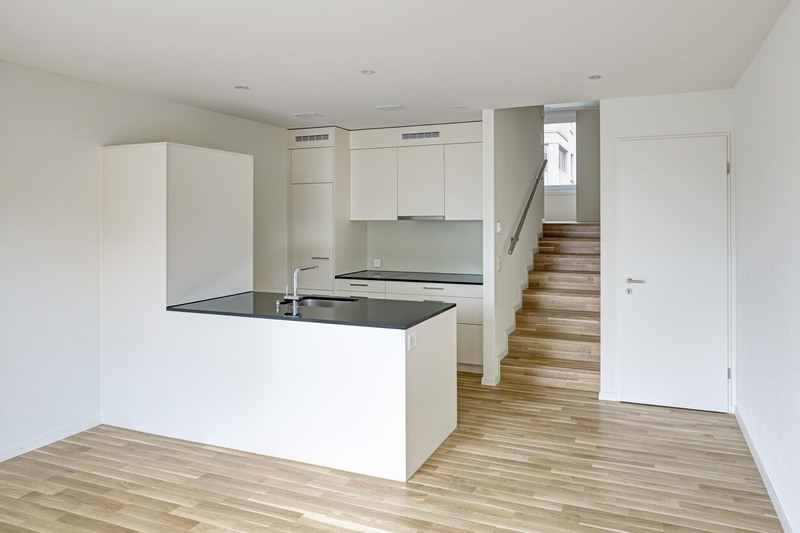 Moreover, every apartment has a private cellar, a separate laundry room and direct access to the garage. 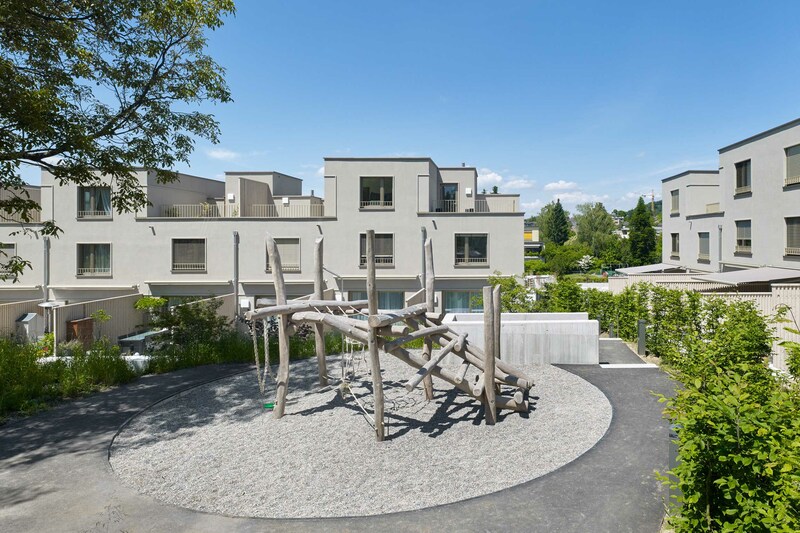 The row houses are surrounded by large playgrounds and resting areas: in the south there is a climbing wall with wooden poles and ropes, another playground lays between the community plaza and the row houses and provides an added value for the families.